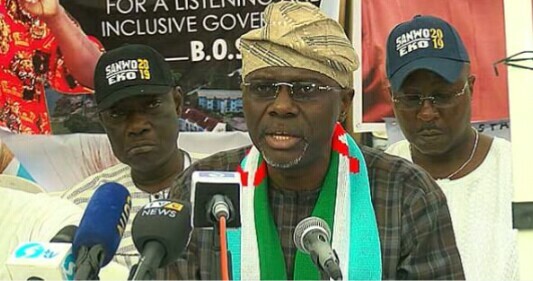 The Chairman of the Lagos State Chapter of the All Progressives Congress, Tunde Balogun, on Tuesday night declared Mr. Babajide Sanwo-Olu as the winner of the party’s governorship primary. Balogun declared that Sanwo-Olu gor 970,851 votes to defeat incumbent Governor Akinwunmi Ambode with 72,901 votes. But does he have power to conduct and declare results? Balogun, who is not a member of the party's NWC panel, declared the election free and fair, thanking members of the party for coming out to vote.